Fixed console with metal structure and two wooden or lacquered surfaces. 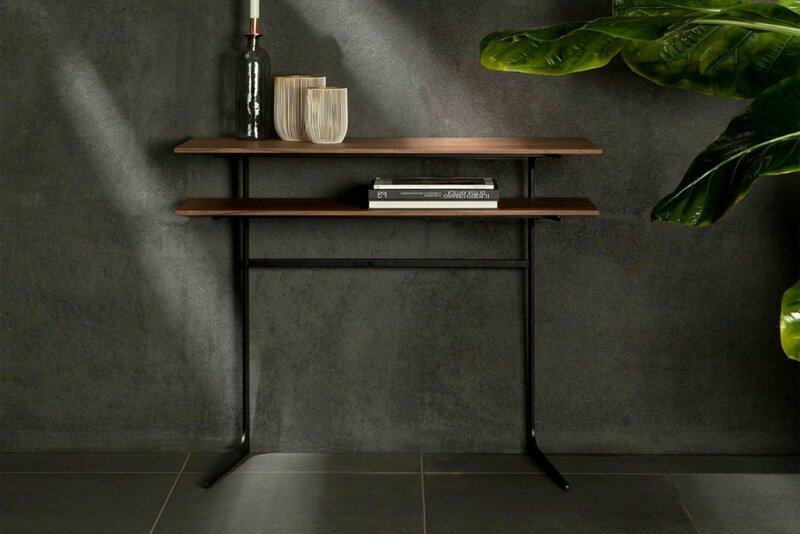 The slim and minimal line of the Empire series makes it a multi-use and extremely versatile accessory: a comfortable and geometric table perfect for the most sought-after environments; a high table perfect next to the sofa or the bed, available with one or two floors; finally the console version, to furnish also the entrance. Discover them all!